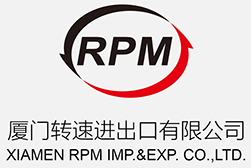 Rimpex supplies China tungsten alloy metals worldwide. Rimpex supplies China tungsten alloy metals worldwide. We have good relationship with tungsten alloy metals manufacturer who could produce top grade hard tungsten alloy and soft tungsten alloy which consists of Aurum (Au, gold), Argentum (Ag, silver), Cuprum (Cu, copper), etc. The quality of our tungsten alloy metals have been checked and measured by China General Research Institute For Nonferrous Metals according to industry standard. Our tungsten alloy metals are listed as high purity, reasonable prices ones among the domestic market of tungsten alloy metals by many customers. Now Rimpex would try to expand world market for this manufacturer of China tungsten alloy metals. This tungsten alloy metals manufacturer adopts latest high-tech high frequency smithing to smelt tungsten alloy metals out. We could make out tungsten alloy metals according to buyers' requirements with various ranks, diversified shapes, multifarious chemical and physical characters. You know, such tungsten alloy metals could be widely used in smelting, landification, lighting, medical treatment, decoration, military, spaceflight and aviation, etc. This tungsten alloy metals manufacturer could also produce all kinds finished or semi-manufactured tungsten-molybdenum products according to buyers' requirements. What is tungsten metal? Tungsten belongs to non-ferrous metal. Being a valuable and rare metal, tungsten always keeps at high prices due to its wide applications. Tungsten is indispensable to military war industry as an important raw materials. Tungsten could be used to make bullet warheads, bulletproof vehicles, tank panzers, cannons, firearms, etc. Tungsten could be widely used in many civil industris especially in machinery industry. Tungsten is also called as “Industry Teeth” because many products, such as all kinds of cutting tools, exploitation aiguilles for prospecting for petroleum, diversified tungsten alloy materials, all need tungsten. With the rapid development of national defence, war industry and civil industry, many countries throughout the world have more and more demands on tungsten resources. So the prices of tungsten always keep at high level. The tungsten made by former Soviet Russia with purity minimum 99.96% were sold at around RMB600, 000/Kg, The tungsten sold in Lodon metal market were sold at around USD56, 000/Kg. Being the No.1 country in the world market of tungsten both for its output and its export quantity, China tungsten prices influence world tungsten prices much and closely. Following with the world economy's resuscitating, many countries' industries develop fast, so the demand on tungsten raw materials goes up ceaselessly. China needs at least 16, 900 tons of tungsten annual. From January to September, 2004, China exported tungsten USD222, 000, 000 which was 32.4% higher than former corresponding period, the amplitude was 83.9% correspondingly. It was estimited that such market trend could be last in 2005.